Photo of the Cedar Creek land provided by ACRES Land Trust. 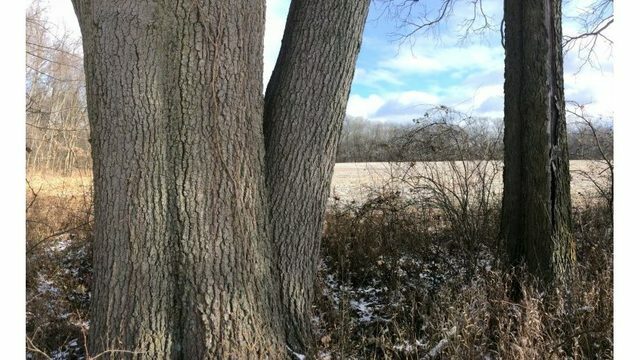 ALLEN and DEKALB COUNTIES (WANE) - ACRES Land Trust, a nonprofit that aims to protect and preserve land, recently acquired 193 acres of Cedar Creek land which appraised for $3 million. The land extending from Allen to DeKalb counties is more than 1,000 acres. The newest piece came from four properties, mostly from farmland near existing preserves. ACRES plans to continue to farm the land for a few years and use the income to protect and mange its holdings. Cedar Creek is one of only three rivers the state designated under the Indiana Natural, Scenic and Recreational Rivers Act. ACRES helped get the designation for the river in 1976 and permanent protection in 1984. The land currently appraised was once considered for a state park in the early 1900s because of its unique topography. It features a tunnel valley with a canyon cut by glacial meltwater on a relatively flat landscape. Cedar Creek runs into the St. Joseph River, which provides drinking water to Fort Wayne and surrounding areas. The organization has leveraged a $1 million matching award from Indiana's Bicentennial Nature Trust for landscape-based conservation. Only a handful of such awards are given. ACRES still needs $96,966 to complete the match for the Cedar Creek land. To learn more about ACRES Land Trust, click here.